Mumbai: Rupee firmed in afternoon trade on Monday, supported by positive domestic equities, but trading was subdued due to holidays in key overseas markets and on caution ahead of account books closure on 31 December. The rupee has traded in a 52.71-52.93 band so far this session and most traders do not expect any sharp movements in the currency given the lack of triggers and low appetite for position building as the year draws to a close. However, some traders cautioned that if domestic oil companies were forced to step up dollar buying in a thin market to honour their month-end payments, the rupee could slip towards the 53-mark. 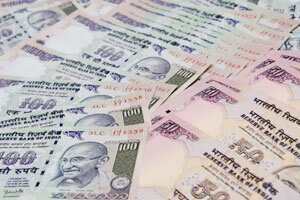 A big slide in the rupee may not be seen after recent statements from policymakers. Last Thursday, the Reserve Bank of India governor Duvvuri Subbarao had said that the RBI was monitoring the foreign exchange markets hourly and would step in to contain any sharp volatility. Japanese and Indian stocks outperformed the rest of Asia in thin trade on Monday, with sentiment partly lifted by signs of US economic recovery, although trading was subdued with many markets closed for Christmas holidays.